My name is Andrej. I’m a 31 years old Lego enthusiast from Slovakia. 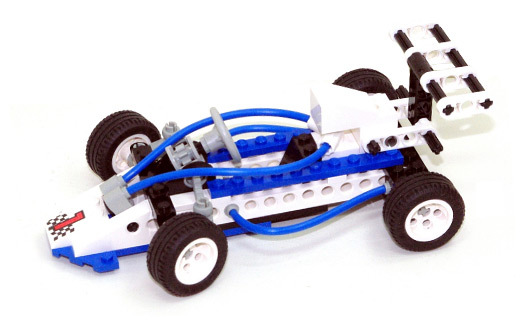 I got my first Lego Technic set back in 1997 when I was 9 years old (you can see the exact model below). I was on vacation at seaside in Croatia together with my brother and my parents. One day my father took us on a small trip to an Italian city called Trieste and as a gift he bought small Lego Technic sets for both of me and my brother. Yes, of course we had other Lego sets even earlier, but this one was special, because it was my first Lego Technic set. Since then I started to be interested particularly in Lego Technic. You can see all Lego Technic sets that I own here.